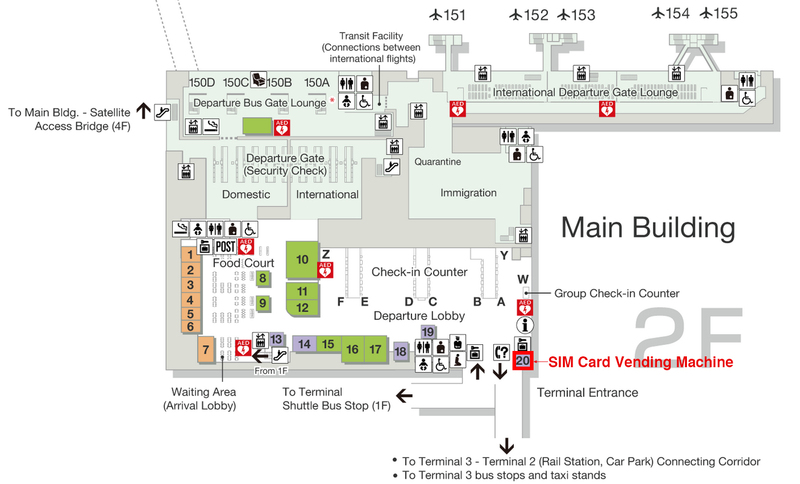 SIM card sales location of Narita Airport Teminal3. Doorway of Second Floor at the Main Building. ※200MB/day. Speed goes down to 200kpbs once it reaches 200MB/day until 11:59PM that day. The limination will be lifted the following day. 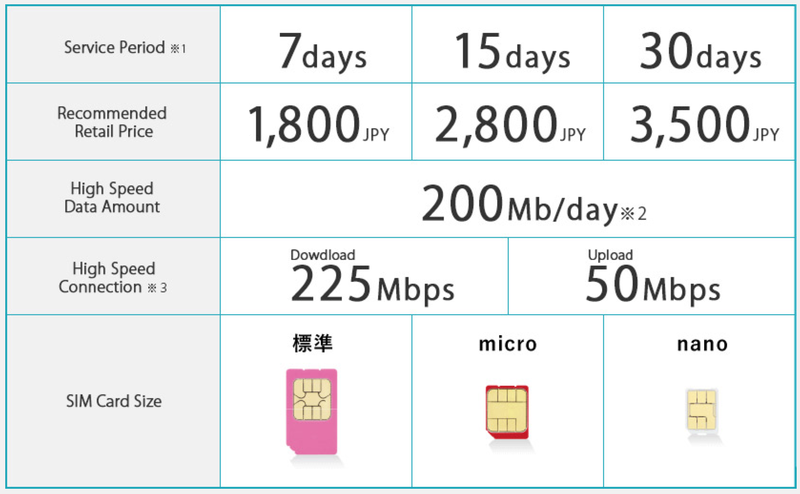 The size of the SIM card is three types（normal , micro , nano）. Each plan will be automatically cancelled after the assigned service period expires.